Dr Jengo's World: Where to buy Bloodborne Old Hunters Edition? 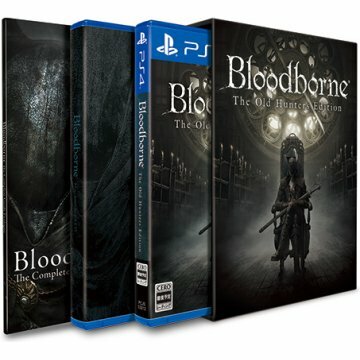 Got a few questions coming in from friends overseas on where they can purchase the physical disc for the Asia-only Bloodborne Old Hunters Edition. (The edition with the original Bloodborne game packed with the Old Hunters Expansion). and for those looking for the Japan-Exclusive Limited Edition, which comes with the Old Hunters Edition as above, Guide Book & Mini-Soundtrack CD. There won't be a problem using different region discs as all PlayStation 4 Consoles can play any Region discs. They are also having a sale for the US Region disc for the orignal game at US$25.99 if you prefer that. I have purchased lots of games from them myself, so I can vouch that they are a reliable site. Have fun Monster-Hunting, friends!